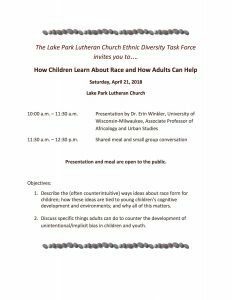 The Lake Park Lutheran Church Ethnic Diversity Task Force invites you to…. Presentation and meal are open to the public. 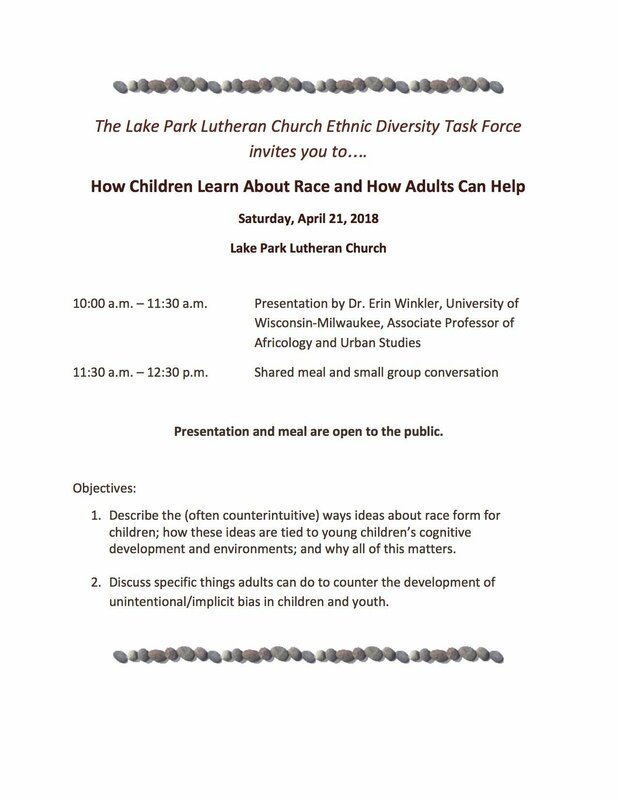 Describe the (often counterintuitive) ways ideas about race form for children; how these ideas are tied to young children’s cognitive development and environments; and why all of this matters. Discuss specific things adults can do to counter the development of unintentional/implicit bias in children and youth.